Arizona requires 24 hours of continuing education every two years. Of the 24 hours required, 12 hours may be completed by distance learning or online courses. 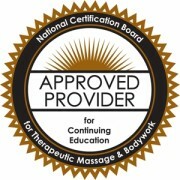 The Arizona (AZ) Board of Massage will accept all of our home-study courses for massage therapy to satisfy 12 hours of the 24-hour requirement. Therefore, you may take 12 hours of continuing education online here at Adawehi Institute. If you have questions regarding your massage therapy continuing education requirements, we suggest contacting the Arizona Board of Massage directly. The telephone number for the Arizona Board is (602) 542-8604 or visit their website at massageboard.az.gov.